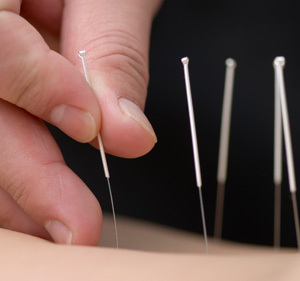 Acupuncture offers a natural approach without the use of drugs. Acupuncture is an ancient healing therapy used for centuries to restore the balance of health in body and mind. It is a branch of Traditional Chinese Medicine (TCM) – a complex medical system that originated in China over 2,500 years ago – and has been embraced throughout the world due to its proven effectiveness. It offers a natural approach, without the use of drugs, to relieve pain, reduce stress, increase immune function and promote a deep sense of well being. It is compatible with Western Medicine and can be used to treat a wide variety of conditions including. How Does Acupunture It Work? Acupuncture involves the insertion of extremely fine sterile disposable needles into predetermined points on the body’s surface to maintain or restore health. It works by connecting with the body’s vital energy and guiding or supporting it to correct imbalances thereby treating or preventing disease. Points are chosen based on a TCM diagnosis, which takes into consideration all aspects of the person, so treatment is specific to each individual. Acupuncture is effective because it treats the underlying causes of disease as well as the symptoms. It is very safe. All acupuncture needles are high quality, sterile and single use. "A healthy attitude is contagious but don't wait to catch it from others, be a carrier yourself"
Acupuncture and physical therapy are a great combination. Whilst acupuncture is concerned with the energy systems, physical therapy looks at the muscles, tendons, ligaments , joints etc.